Understanding the sustainability of a forage production operation requires some understanding of the ecosystems involved. An ecosystem may be defined as a system of interacting organisms (biotic environment) and their nonliving (abiotic) environment. Biotic components in a pasture ecosystem would include any living components of the ecosystem such as forage plants, livestock, disease causing fungi, soil bacteria, or earthworms. Abiotic components of a pasture ecosystem would include any nonliving components of the ecosystem such as climate, soil nutrients, or soil moisture. Although it is possible to draw simple representations of the major components of a pasture ecosystem, it should be understood that in reality any ecosystem is a very complex system. What factors in a typical pasture ecosystem are important to consider in the sustainability of the system? In a theoretical sense, all the factors of an ecosystem are important, since a change in one factor will potentially influence many other components of the ecosystem. From the more practical perspective of a forage-livestock producer, there are several major factors that should be considered. Two of the most important are nutrient resources (i.e. soil fertility) and water resources. One of the more important factors to consider in sustainability is soil fertility, since this is the ultimate source of most of the nutrients for forage plants and grazing animals. To the extent that soil nutrients are available on a long term basis, it is possible to produce forage to feed livestock. In a completely sustainable system, nutrient use (output) should be balanced by nutrient input. Nutrients are removed from the pasture ecosystem (nutrient output) primarily in the form of animals and animal products (e.g. cattle for slaughter or wool from sheep). This regular removal of significant amounts of nutrients needs to be balanced by regular inputs of nutrients. In a well managed pasture ecosystem, the replenishment or recycling of nutrients may be accomplished in several ways: relatively even distribution of animal wastes throughout the pasture, gradual release of nutrients from soil minerals, release of nutrients from organic matter (mineralization), and incorporation of nitrogen via biological nitrogen fixation if legumes are present in the pasture. For significant forage livestock production, soil water is as essential as soil nutrients for both plants and animals. There are two general types of water in a pasture ecosystem, water that is part of plant tissue and water that is available freely from creeks, streams, springs, or stock tanks. Ideally a sustainable pasture production system would be dependent solely on rainfall and/or water that flows naturally through the pasture in creeks, springs, or streams. If this is the only source of water [in other words if irrigation is not employed] then it is the responsibility of the pasture manager to balance animal numbers (stocking rate) with available water. The stocking rate will need to be adjusted as the amount of water available changes. For example, in times of drought, animal numbers may have to be reduced drastically. Given the difficulty in precisely predicting weather patterns the balancing of animal numbers with water resources can be a challenging task. Nevertheless, with experience, the pasture manager can make adjustments to maintain animal numbers that are appropriate for the water resources available. 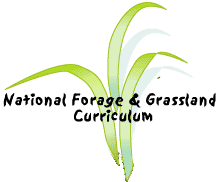 In summary, managing pastures for sustainable production involves a process of balancing pasture resources with animal numbers in such a way that soil nutrients and water resources are conserved for future production.